Typically 10% fat. 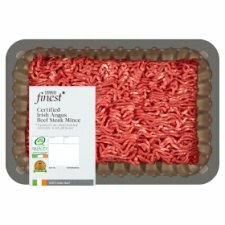 Tender Irish beef selected for its rich, full flavour. Remove all packaging. Pan Fry 6-8 mins. Fry in a little oil over a medium /high heat for 6-8 minutes until the juices run clear.